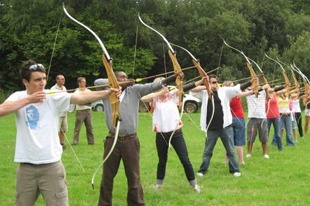 If you've ever wanted to try archery, our lessons allow anyone to pick up a bow and arrow, draw the string, aim and shoot accurately and you'll be soon hitting the spot in no time. 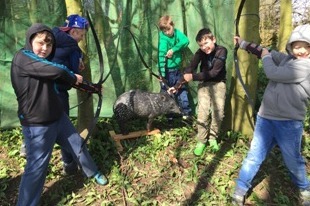 With all our archery experience sessions, expert tuition and supervision is provided at all times, along with all the arrows and protective equipment needed and a bow selected for your height and build. We think this is a great outdoor activity for family and friends of all ages. 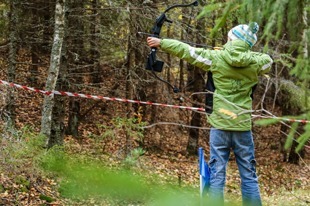 All our archery areas are outdoor, you will need suitable outdoor clothing. Walking boots and wellies are ideal. Under the careful guidance of our fully qualified "Archery GB" coaches Ian and Martin, who will teach you how to master the ancient art of archery. 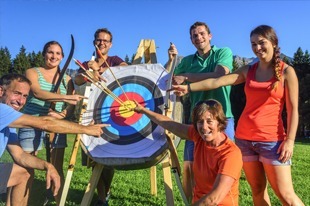 You will get to shoot traditional target archery, with some built in fun & games. Under the careful guidance of our fully qualified coaches, we will guide you to master the ancient art of woodland archery. You will get the chance to shoot "in the woods" with 3D animal targets & field style target faces. 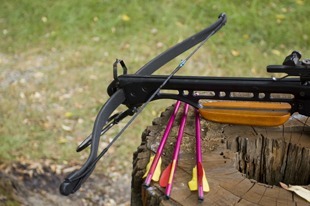 Using the latest archery equipment fitted with open sights you will be shooting within Archery GB guidelines. We will get you going with a quick safety brief and detailed description of the kit that you will be using. 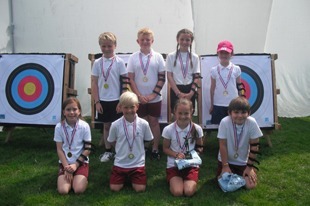 Archery can be introduced to primary schools and secondary schools and we can provide programmes for young people from 6 to 18. We can provide a teaching programme designed to suit your school’s needs. 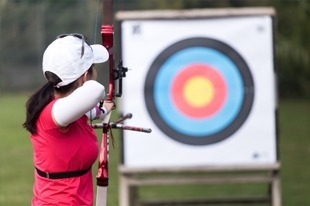 Whether you are a total beginner or an experienced archer, our one to one coaching sessions can be a great way to develop your archery skills and to move your archery forward. 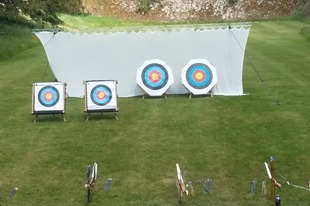 We can hold corporate archery sessions for you in one of our indoor or outdoor venues, or we can come to your venue. We have all the archery equipment and safety equipment. Along with the help from our friends at Greenland’s Farm Village, we can offer you a fully inclusive day out. Archery and Food for your party. Be it young or old, archery birthday parties are good fun!